I used to have a few pen pals when I was younger, and loved writing long letters then waiting for the replies. (OK, I didn’t enjoy the *waiting* for replies, but I was always excited to receive one!) One of the first things I did when getting an email address of my own was to sign up to a email pen pal service (which didn’t really go to plan…I ended up with photos of naked men. I did not tell my parents about that one.) but as the Internet has evolved, it is so much easier to send a quick message via Facebook or Twitter instead of writing an actual email or *gasp* a letter. 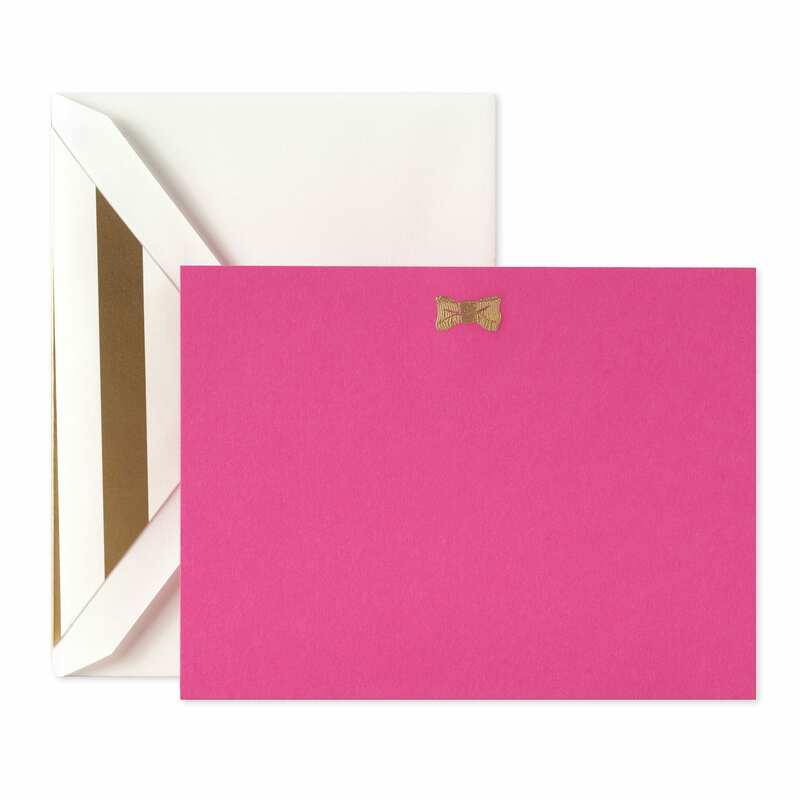 However, with beautiful notecards like this from Kate Spade, I’m tempted to start again! As soon as I saw the Hello Sunshine cards ($20), I immediately thought of sending one to Sarah – its such a happy card to send just to say hello! The Snail Mail set ($25) is so cute, and seems very apt for this form of communication! I’d send this to an old school friend, who used to hate snails enough to throw them into her neighbours garden. It would be difficult to hate this snail though! If all else fails, this All Occasion box set ($35) is good as an emergency back up when you need to get a card into the post right now. (You’ve not had that? 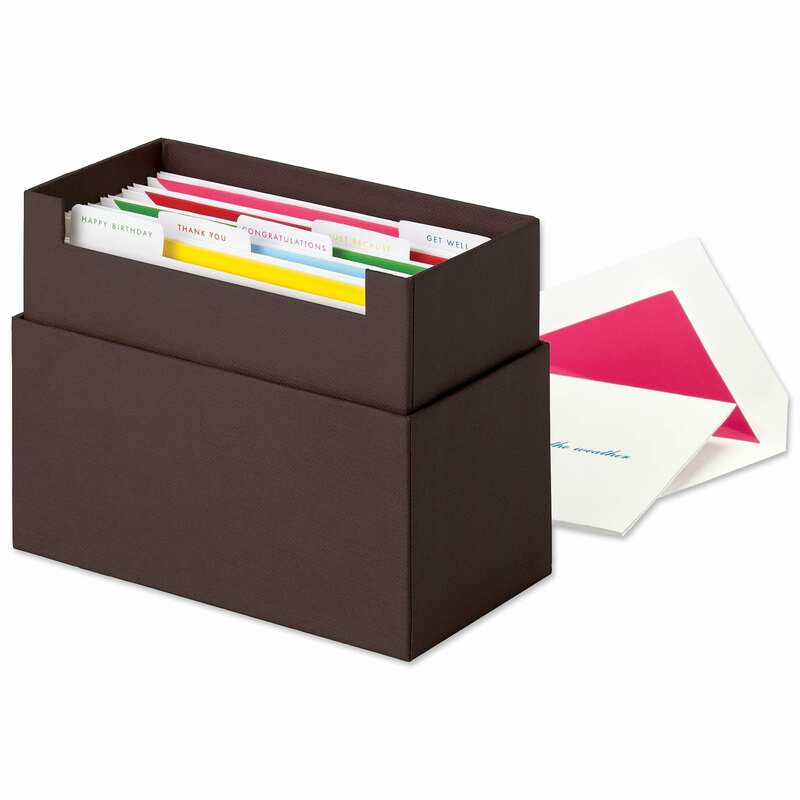 You don’t have a small stash of cards at home in case you need to pull one out quickly? No, er, neither do I…) Once all the cards are used up, you could always use the box again to organise your non existant card collection. If only Kate Spade delivered to the UK – I think a trip to one of the London stores is due! These are lovely! I love the snail. Also, at the risk of making my mother sound like a loser, she actually does a box of just-in-case greeting cards for all occasions. She pays a (quarterly? I think) fee to a card company and they send packs of assorted cards to keep in a special box. It’s quite genius actually; I steal them when I forget to buy birthday cards for people. The mother in law buys all her cards at the start of the year and files them until required. Only discovered this on last friday when it had the date in the corner of the envelope. When you get to that point, you’re a crazy card lady. You’re only halfway so far! These are so beautiful! I am terrible at snail mail, but I think these would prompt me to be a better correspondant!